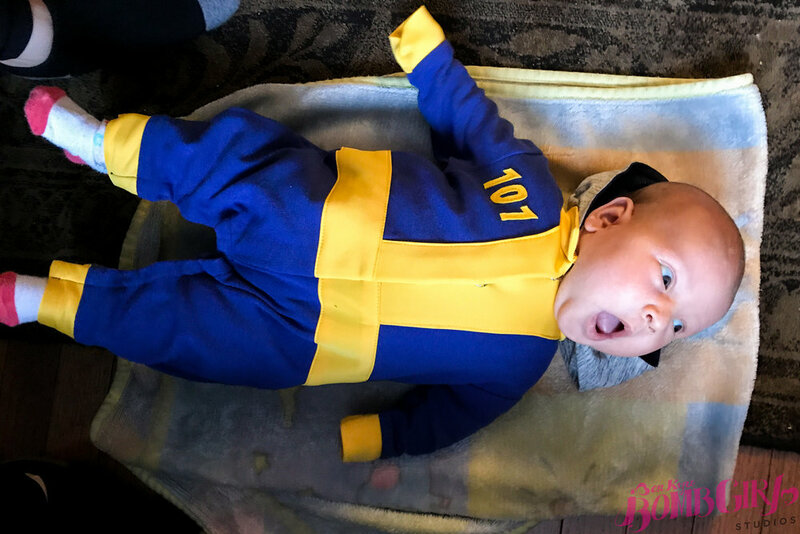 NOTES: My first baby costume! I used royal blue four way stretch knit for comfort, but also to accommodate in case the baby had a growth spurt. The costume has hand-sewn snaps down the center front and along the legs. Yellow double knit fabric was used for all the detailing. She's ready to go looting! Special thanks to the mom for sharing these adorable Halloween pictures of her daughter.